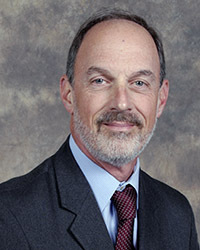 James Gebhart, DO is a highly skilled and experienced vascular surgeon and has been practicing for more than 32 years. His commitment to patient care mirrors the Network's mission to improve the quality of life of the people in the communities we serve. Kettering Vascular Surgery Associates has offices in six locations serving Beavercreek, Eaton, Englewood, Huber Heights, Troy and Xenia. Dr. Gebhart sees patients in our Beavercreek and Xenia locations. Please call (937) 458-0085 for an appointment at any of our six conveniently located offices. Dr. Gebhart welcomes new patients.